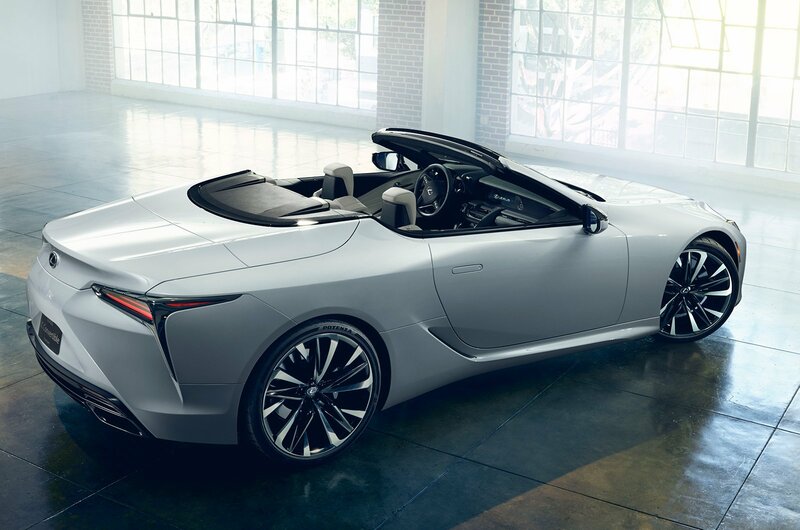 2020 Lexus LC Convertible revealed – price, specs and release date | What Car? The Lexus LC has no trouble standing out from the crowd. With its oversized front grille and futuristic styling, this four-seat coupé acts as a stylish flagship for the Japanese brand. 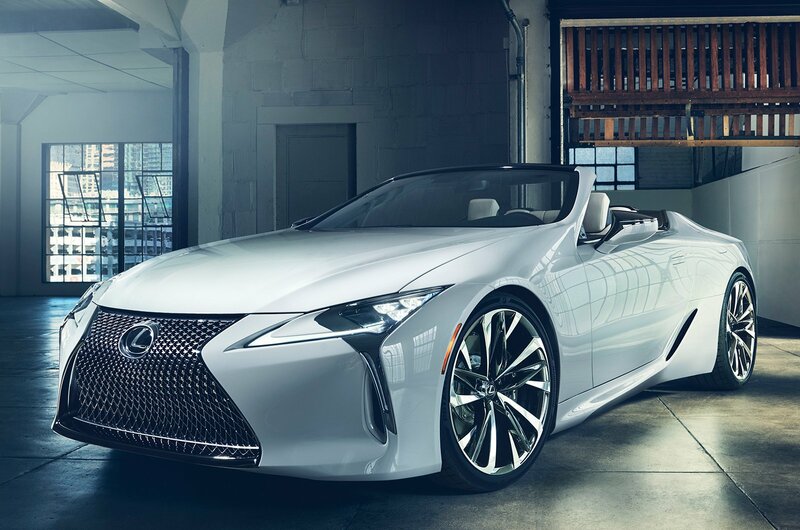 If you've ever looked at the LC and wished you could marry its thrilling looks with the equally thrilling experience of driving a convertible, however, then this LC Convertible has you in mind. 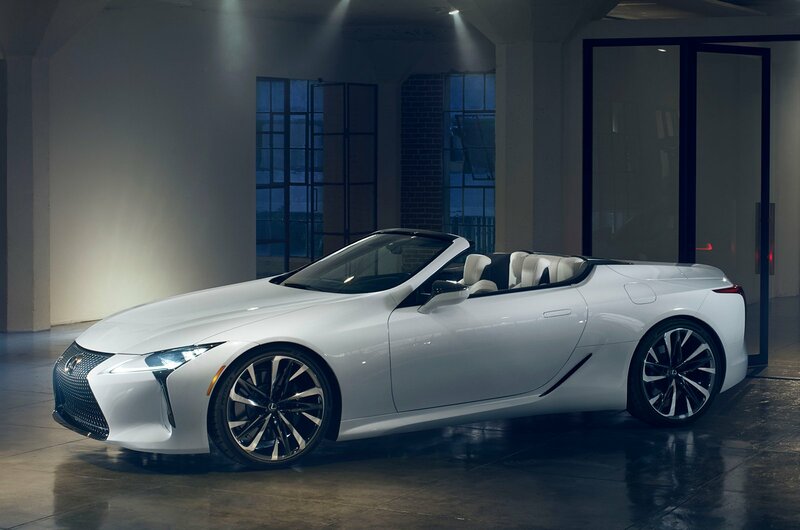 Although it's a concept for now – Lexus describes it as a "future direction" for the LC range – chances are that this open-top version of the LC will go into production, and will count high-end versions of the BMW 8 Series Convertible, the Mercedes SL and even the Porsche 911 Cabriolet among its key rivals. 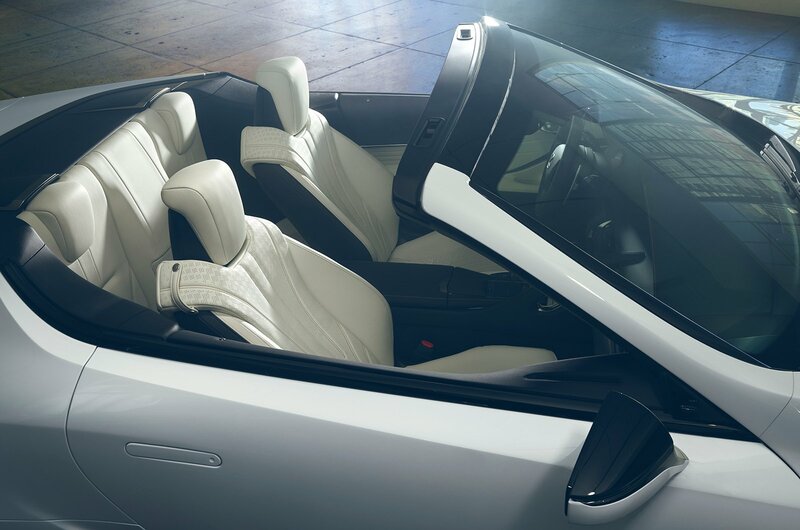 The LC Convertible keeps the same dimensions as the coupé on which it is based, but swaps that car's hard-top roof for what is likely to be a folding fabric alternative. The convertible keeps the LC Coupé's four seats, too, although our experience with that car suggests that they're best kept for either small children or used as extra luggage space. And you might need to, because as with the LC Coupé, the convertible's boot is likely to be smaller than those of its key rivals. Inside, the concept gets Lexus's latest infotainment system, controlled through a touchpad on the centre console. Although it looks impressive, our experience with other Lexus models suggests the system might be tricky to use on the move. So, what's powering the LC Convertible? Nothing is confirmed, but we'd expect to see the same 3.5-litre V6 hybrid and 5.0-litre V8 petrol engine from the LC Coupé carried over. In the LC Coupé, it's the V8 option we recommend for its soulful engine noise and extra performance, although the hybrid option will be more economical. In either case, expect both engines to be linked to a 10-speed automatic gearbox. 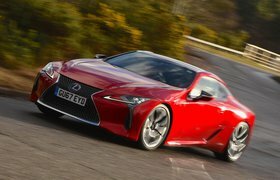 If the concept is given the green light for production, it would sit at the very top of the Lexus range, meaning prices would jump beyond the £76,595 price tag of the LC Coupé, likely to around £85,000. That would still make the LC Convertible a comparative bargain next to Porsche's new 911 Cabriolet, which starts from £102,755 in Carrera S form.